As Christian business leaders, we all understand the importance of being good stewards of God’s resources, including our companies. Yet amidst the pressure of daily meetings, reviewing reports, and interacting with staff, sometimes it’s hard to keep a pulse on the big-picture. Successful stewardship requires looking ahead, for we know that one day, we will be called to give an account. We invite you to download our free resource highlighting seven actions and responsibilities that define a successful Christian CEO. How many are you embodying in your role? Click Here to get free download. "Strategic Grain Storage" is a concept being discussed more and more. Particularly by governments who wish to provide sufficient reserve grain storage to be able to feed their nation in the event of reduced grain supplies, possibly due to natural factors such as drought, floods, pests, etc., but also because of economic factors such as rising world grain prices, importation costs, war, etc. This product is designed to provide light and cell-phone charging capabilities in areas where there is no reliable electrical grid. Currently, over 568 million people in Africa, India and other places are without power. Oftentimes reliant upon kerosene or other fossil fuels for light, they are unnecessarily exposed to health risks from the emissions of burning those fuels in the confined space of their homes. 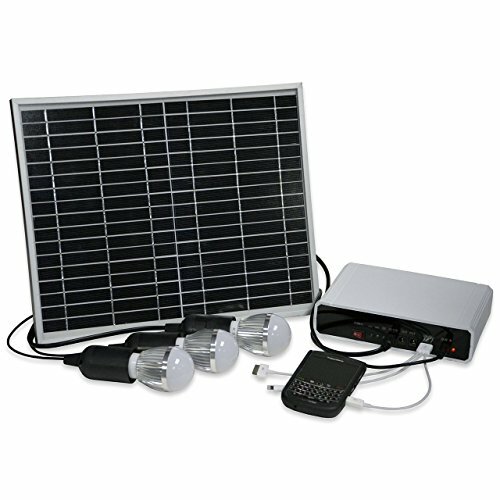 The Affirm Global home solar system consists of three 12V 2W LED lights that will provide ample light for any room to be able to perform daily tasks, entertain guests, and enjoy the home. It also includes a large 10W monocrystalline solar panel that provides over 9 hours of light and can charge any cell phone almost as if plugged into a wall socket. Until large investment in energy infrastructure can be made in many of these isolated areas, this system is the perfect answer to a families needs. It can give them reliable light and power to keep their cell phones charged to communicate. African Development Bank President Akinwumi Adesina has called for urgent action from stakeholders over the deepening crisis of global malnutrition. Adesina made the call as he joined key nutrition actors, private-sector representatives, policy-makers and thought leaders at the 2017 World Food Prize-Borlaug Dialogue Symposium in Des Moines, Iowa, on Wednesday, October 18, to push for mutual accountability on leadership, governance and investments for nutrition. India On September 20th we're hosting Hello PW, an event to introduce people to the vision, mission, and work of Partners Worldwide. The event will be held in Pune, India and around 50 local business owners will attend. Please pray that God would prepare the hearts of the attendees. The Worldwatch Institute is a global leader in international renewable energy market and policy analysis. Each year, Worldwatch contributes to the REN21 Renewables Global Status Report, a leading reference publication that details worldwide renewable energy trends.